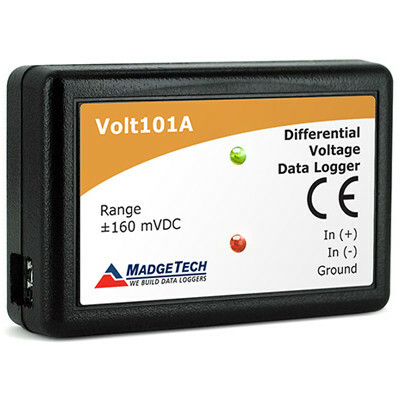 Stand Alone, Battery Powered, Low Level, DC Voltage Data Logger with 10 Year Battery Life. SKU: Volt101A. 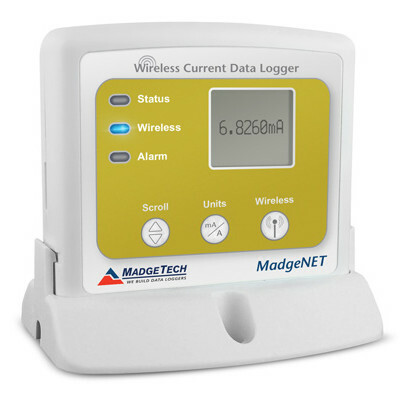 Category: Current/Voltage Data Loggers. MadgeTech’s Volt101A data loggers are versatile data logging devices with many uses and applications. Connect negative and positive wire leads directly to the terminal port on the Volt101A to monitor and measure voltage levels. The Volt101A is commonly used to assess battery efficiencies or photovoltaic studies to identify how much energy is being created from solar cells. 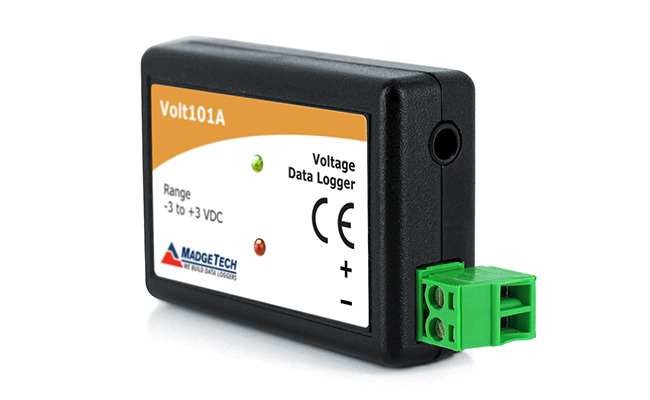 The Volt101A features a removable terminal block to allow for simple retrieval of the data logger for downloading while leaving the leads connected. 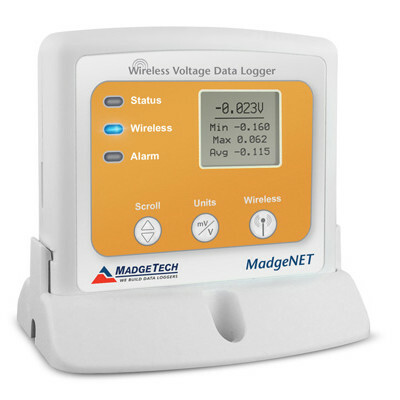 With a ten year battery life and the ability to store up to one million time and date stamped readings, this device is ideal for long term deployment and voltage studies. 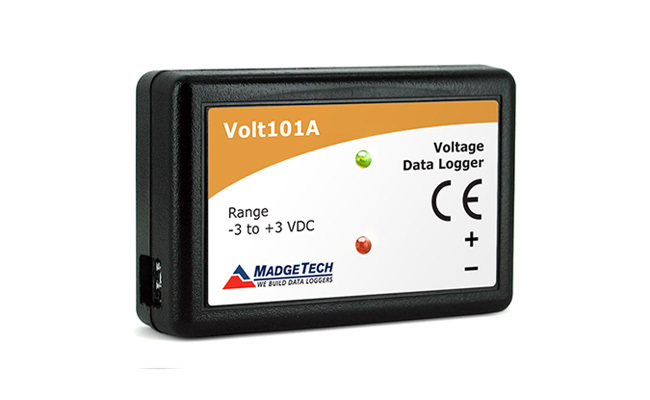 Four models of the Volt101A are available. 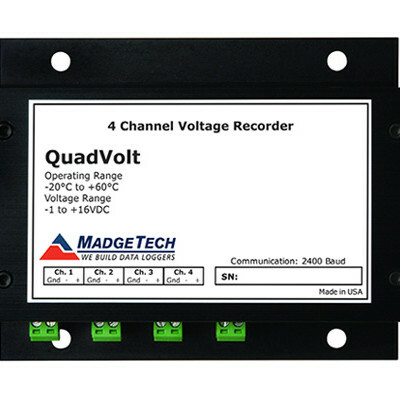 The 2.5 V is capable of measuring -3V to 3 V, the 15 V capable of measuring -8 V to 24 V, and the 30 V which can measure from -8 V to 32 V. For lower voltage applications that require a higher resolution, MadgeTech also offers the Volt101A 160 mV model, which can measure voltage between -160 and 160 mV.